Sometimes, no matter what age, we all have to revert back to our inner child and re live some memories that we hold dear from our innocent childhood. It was with this in mind that my sister B and I decided to have a baking and Disney movie day at my house this Sunday just past with the newest darling addition to our family, her daughter and my niece - Delilah. 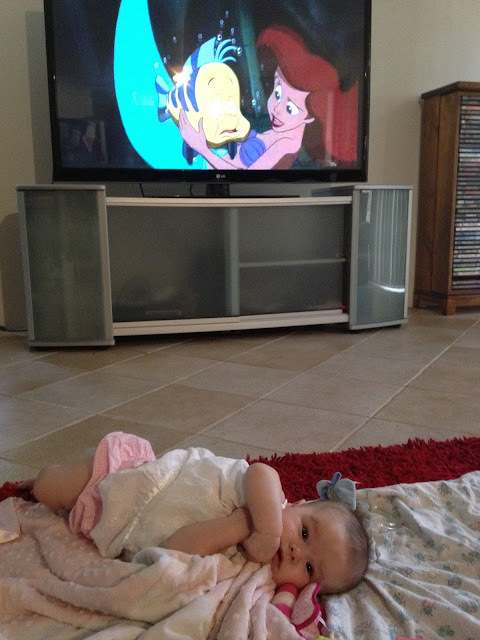 I was so excited as an Auntie to be the first to introduce Delilah to the classic Disney movies, and even though she was taking much more delight in eating her hands and blanket, the thought was there, the memory created and the moments captured. 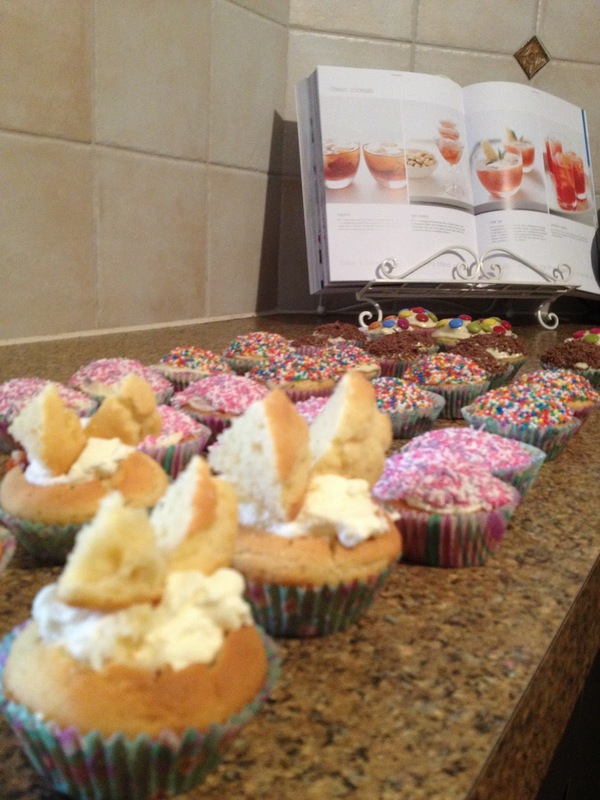 B & I ended up baking some delicious (and I mean delicious) cupcakes and then sat down to watch the Little Mermaid. Mr Mr slunk off to his man cave as we belted out all the movies songs together and gasped as dear Ariel made the deal with Queen Ursula. It was a perfect day and I encourage you, when your feeling like a little break from the world, enlist the help of a friend, mum or sister, bake something delicious and slap on some of your old favourite Disney's. I can't wait to see Tangled and Brave (even though Brave is Pixar). how sweet!!! 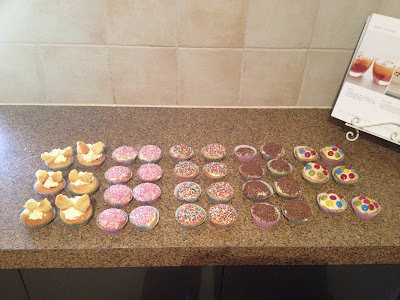 and the cupcakes look delicious! I looove cupcakes who don't? lol Anyway I love disney too, made me really happy during my childhood and today again! Your niece is so cute! The cupcakes look delicious!! so sweet! I can't wait til my niece is old enough to watch Disney movies with. Hooow adorable! And those cupcakes look yummy! She's very cute and the cupcakes look yummy! I love Disney movies! Awww, look at the little sweetheart! She's beautiful!! And I complately agree with you - cupcakes and Disney are absolute necessities!